Our team consists of five veterinarians from various fields of veterinary medicine. We guarantee complete professional medical care for your small pets and exotic animals. 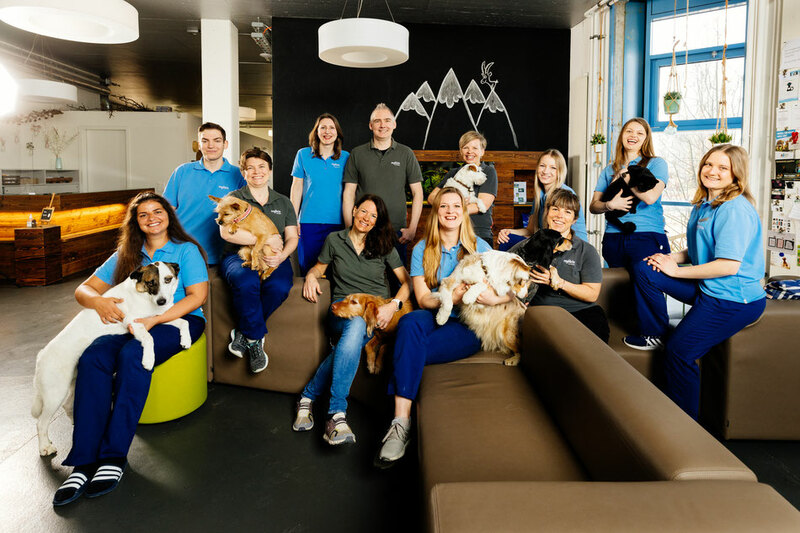 In our new veterinary practice in Cham, we care deeply about the well-being of our patients and their owners, and our offices are equipped with the latest state-of-the-art medical equipment. We are pleased to be able to offer consultations and treatment in German, English, French, Italian and Dutch. We collaborate closely with referring veterinarians and provide specialist support in the fields of orthopedics, arthroscopy, soft tissue surgery, neurosurgery, neuro-rehabilitation and emergency surgery. The myVets small animal practice is located at Knonauerstrasse 54, 6330 Cham, and is easily accessible by public transport or car. Our practice is only 15 minutes from Zug railway station by bus. The journey by car from Zug takes about 10 minutes.